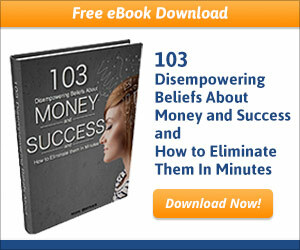 103 beliefs about money that you must eliminate..
Have you ever heard the phrase, “You don’t know what you don’t know”? Well, today I want to share with you a free eBook for which this phrase is especially applicable. You see, most people have negative and limiting beliefs around money and success, that they’re completely unaware of. They simply don’t know what they don’t know. It’s called “103 Disempowering Beliefs About Money and Success and How to Eliminate Them in Minutes,” and it was written by New York Times and Amazon #1 best-selling author, Nick Ortner. 1 - It actually lists 103 disempowering beliefs about money and success and takes you through an easy to follow belief discovery process that will help you to figure out exactly what beliefs are holding you back. I think this discovery process alone is incredibly powerful. And I think you’ll be pretty surprised at what comes up for you when you go through this simple process that takes just a few minutes. 2 - The eBook also lists 103 empowering beliefs that you can start using immediately as positive affirmations to counteract the negative beliefs you have. 3 - Here’s the best part…it also shows you how to use a powerful technique known as Tapping to get at the core of these disempowering beliefs to change them faster than any other way you’ve ever experience! Tapping works to literally rewire the brain! 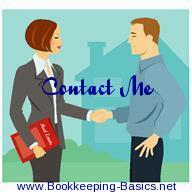 Don’t delay in getting this eBook. In just a few minutes… you can have a huge awakening in your understanding of what’s holding you back, and more importantly a really big shift in your actual beliefs by using Tapping!